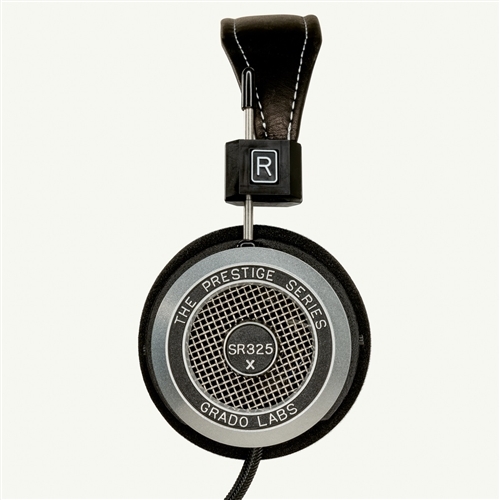 The top of the Grado Presitge line - the 325e combines the best qualities of the 125e and 225e to make a versatile and musical headphone. We chose a powder-coated aluminum housing for these headphones because the added mass means smoother transitions from the lowest frequency range to the highest. You might also enjoy the authentic 60's style, which goes perfectly with skinny ties and sullen glances. The genuine top-grain leather padded head-strap is Brylcreem resistant.